I live in a village located 16kms from Siem Reap and had the opportunity to be educated in a special school for deaf people thanks to Krousar Thmey association. There I could learn sign language and develop good friendships with some people who have the same disability as me. It was also Krousar Thmey that told my friends and me about the existence of Artisans Angkor and the possibility to learn professional skills and get a job that could fit my interests. I like to express myself with manual art, colors and shapes and wanted to learn more about drawing and painting. That is why I was so happy that the training provided by Artisans Angkor would give me more skills on painting technique. I have now been working for seven years as a silk painter and still enjoy it very much as it enables me to show my abilities to international visitors. That gives me more confidence in my everyday life. When I was a teenager, I used to help my family at the market where we sold the vegetables that we grew ourselves. It is essential for me to stay close to my family as my relatives are very important to me. When I turned 18 years-old, my older sister, who has been working for Artisans Angkor for quite a long time, suggested me to acquire strong professional skills in order to get a fulfilling job. 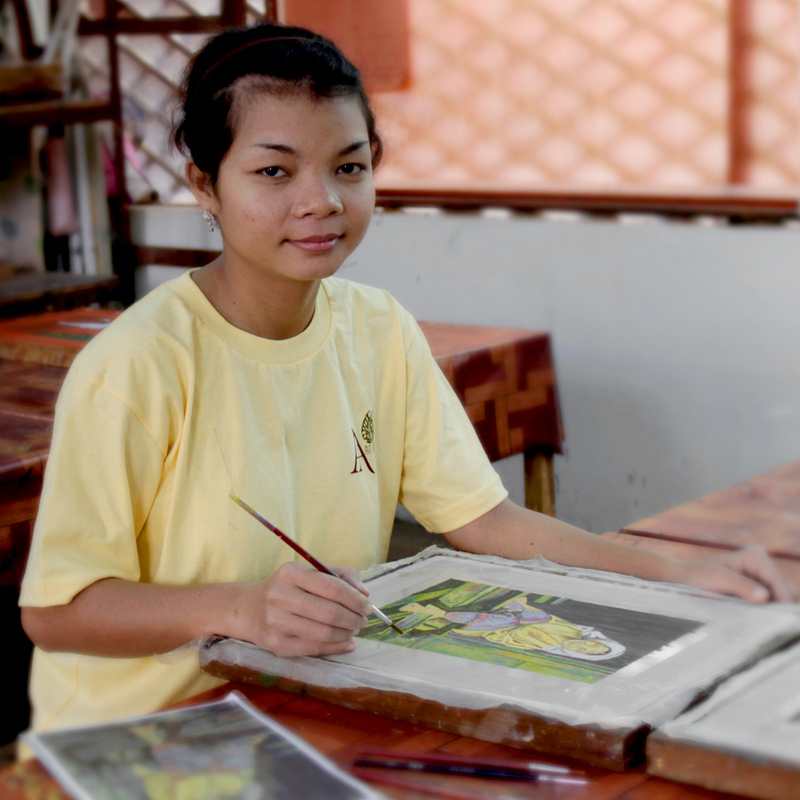 Since I was a child, I have always loved painting and drawing so when I heard in 2005 that Artisans Angkor was offering training and positions in Lacquer works, I decided to apply. Now I am really happy with what I do, I have the rare opportunity to do as a work an activity which could be a hobby. 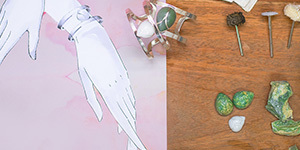 I am also interested in other crafts works and I may consider learning techniques of polychrome or silk painting if the opportunity arises. When I was a teenager, I first started to learn about sewing with some of my relatives. Working with my hands was something I liked but I wanted to explore more options because I was fond of playing with volumes and for me, the idea of creating something from raw material was stimulating. 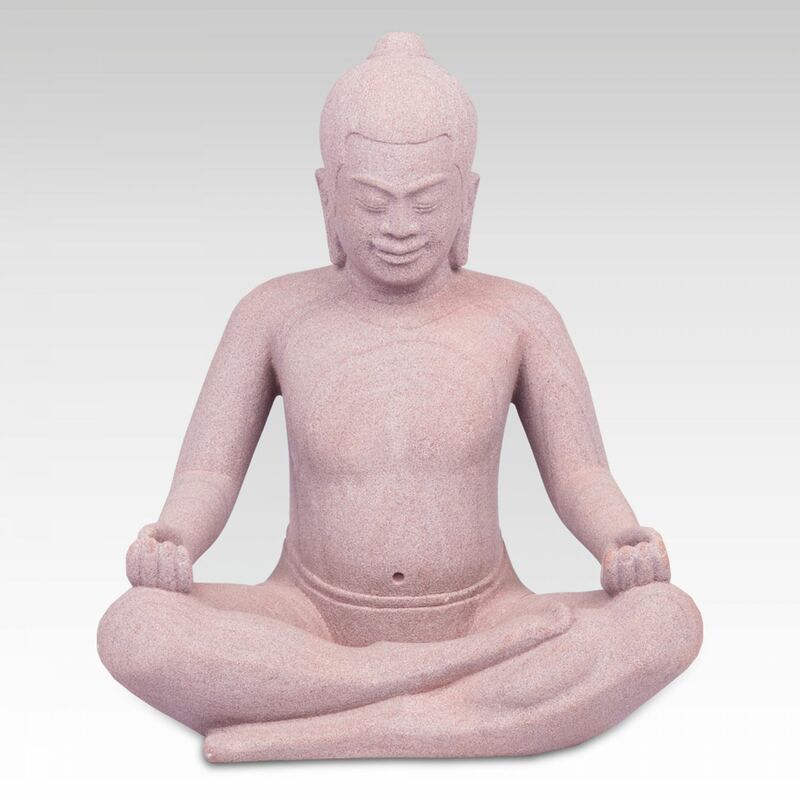 Then I heard about the training provided by the Chantiers-Ecoles and decided to apply to acquire some skills in stone carving. That was a great choice as I really enjoy working on this noble material that was used to build Angkor temples. I find amazing the fact that we can produce refined pieces from such rough texture after working on it with care. I am a hard-working person and I love reaching for the perfection. I have worked here since 1995 and I hope that one day, I will be able to share my knowledge and train some young people. When I was a teenager, I used to make wicker baskets and to sell them at the market. I liked working with my hands but did not have much technique. That is why when I heard in 1998 that the Chantiers-Ecoles were proposing some traineeship in craftsmanship to young people from my village, I was pleased to apply. I did not really know which skills I wanted to learn at that time. Thus, polychrome seemed like the best option for me since the process is so broad. 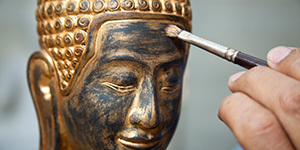 Indeed, polychrome process requires a lot of patience and meticulousness to plaster and paint a carved piece of wood or stone, and then to gild it. I am really proud when I think that I carry on the traditional know-how of my ancestors. 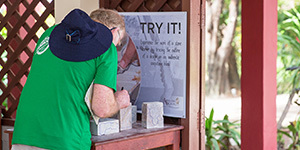 I keep learning about these techniques and I hope my work and the work of my colleagues will enable the Khmer Arts and Crafts to live forever and be renowned internationally! I am the only woman in my family who had the chance to go to high school and I have always wanted to do something meaningful that could help my family and my province of Siem Reap. For me, it is essential to contribute to the survival of the great culture of my ancestors and that is how I thought about silk work. 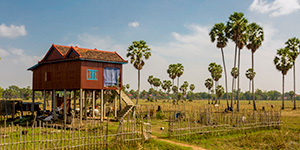 In Cambodia, we have so many kinds of exceptional textiles that it would be a pity to forget our traditional know-how. 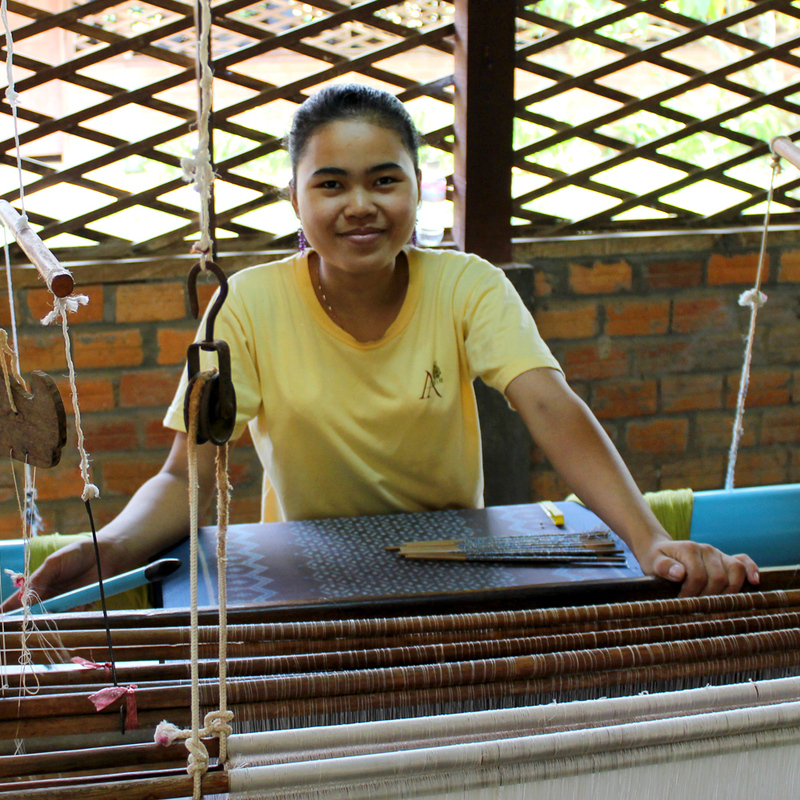 When a friend of mine told me about the opportunity to get training in silk-making process at Artisans Angkor, I did not know much about weaving work but was eager to learn. Since I started to work here in 2008, I have learned a lot about different Khmer textiles and styles and I think my favorite one is the traditional Phamoung because of its special luster. My work requires a lot of attention and meticulousness; it is demanding but truly rewarding too, especially when I finish a perfect piece of scarf on which I have been working for three weeks! In my family, textile has an important place in our life: my mother, my sister, my grand-mother and my aunts all wove or sewed sometime in their life. 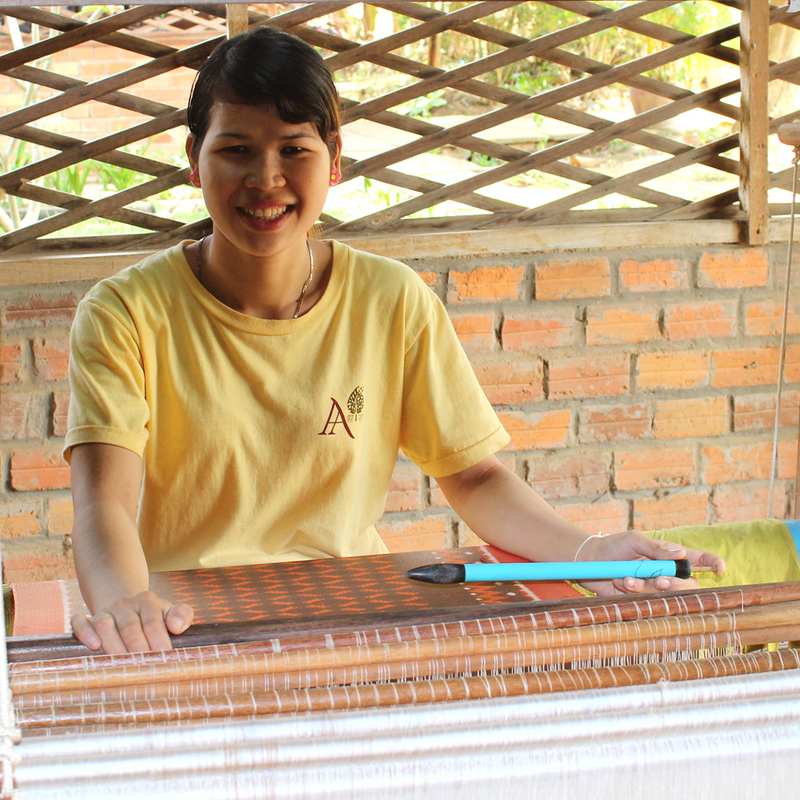 My sister works at Artisans Angkor and she told me about their training and recruitment campaign in 2008, when I was just finishing my studies. 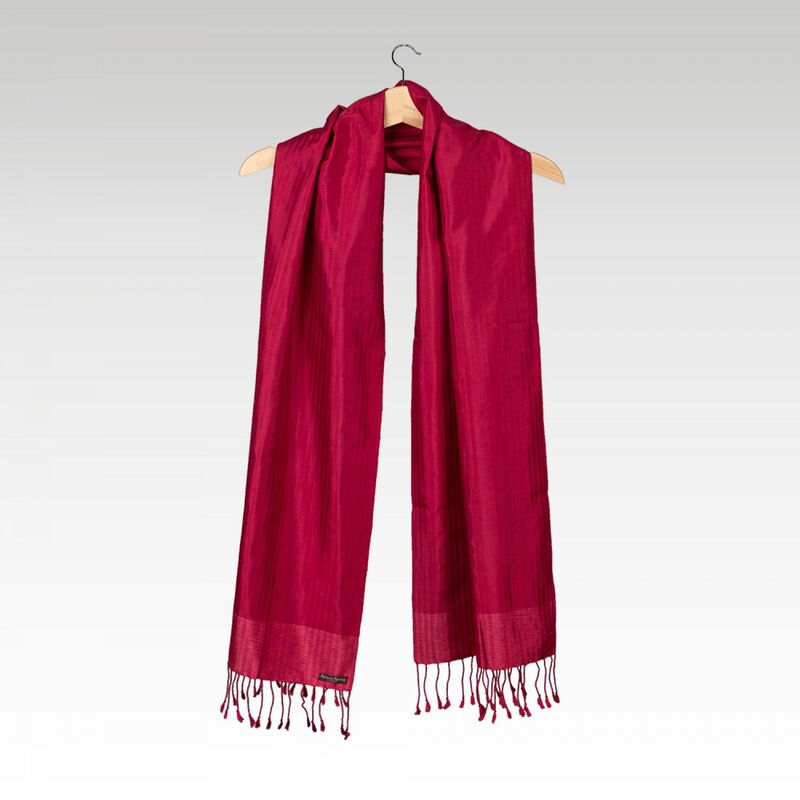 During my traineeship, I was surprised to find out how long and sophisticated the silk-making production could be: I would have never imagined before that making a scarf could take more than 100 hours! Now that I know how to weave Hol Lboeuk, Chorebap, Phamoung, I am more attentive to the fabric that people wear during ceremonies, because I know the time it took to make one piece of material. If I should find one great thing I learned here by working at the Silk Farm, I think it would be ‘paying attention to detail’. And also that your colleagues can become your best friends!